Within each section, the left panel has filters that can be used to narrow down to the most relevant entries in that section. This left panel includes the number of entries that meet the filter criteria, and an option to download all relevant entries. All filters are optional. 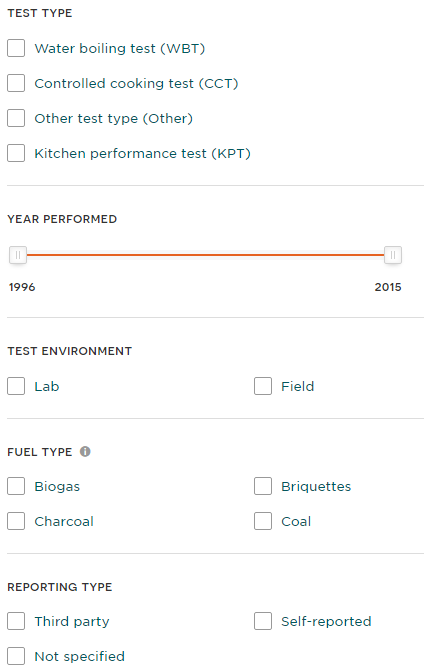 The right panel shows stoves, fuels, products, or test results. When filters in the left panel are applied, the right panel will show only entries that meet filter criteria. The applied filter criteria are listed at the top of the right panel. Sections are integrated. 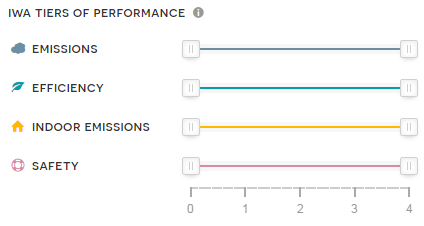 For example, from a stove entry, users can click through to information on compatible fuel types, as well as the test results underlying performance data. The Catalog also includes a glossary to understand clean cooking system terminology. Throughout the Catalog, hovering over will reveal more information. The Catalog is an introduction to this information. Before making any decisions, it is important to contact manufacturers and/or distributors directly. Inclusion of a product in the Catalog does not reflect or imply endorsement by the Clean Cooking Alliance. Technology options can be compared in the Stoves section. Key factors to consider for consumers are: number of people being served, types of foods, availability, and budget. A sliding bar can be used to show only stoves that fall within the specified price range. 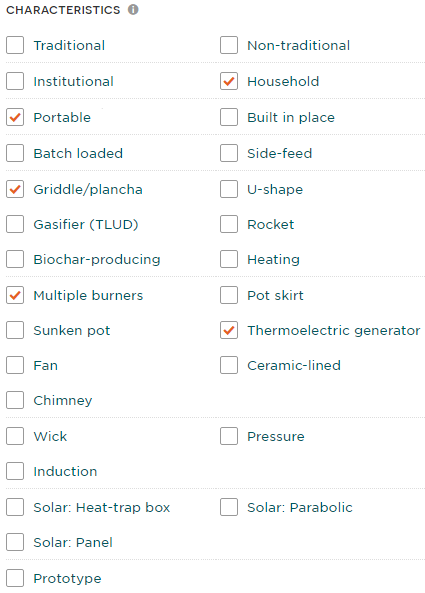 Using checkboxes, stoves that use specific types of fuel can be selected. Using checkboxes, stove availability can be filtered by continent. Once a product has been selected, a full profile is available. The stoves, fuels, and fuels products entries each have a section focused on consumer information. 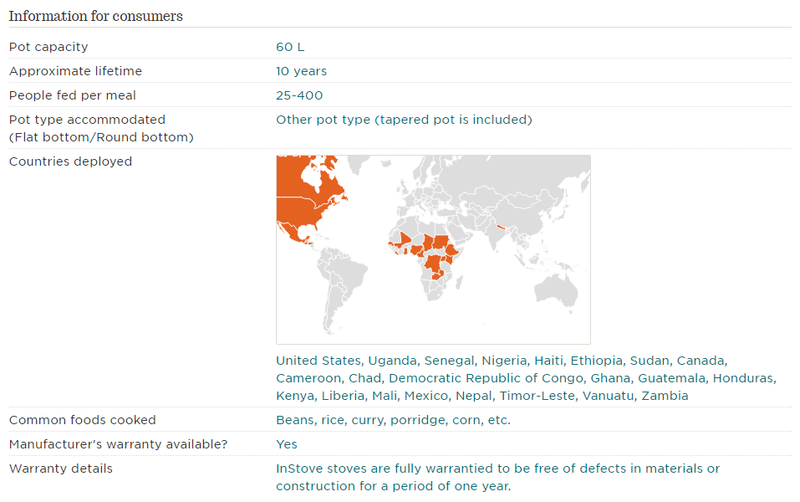 The stoves consumer information section includes pot capacity, approximate lifetime, people fed per meal, compatible pot type, geographic availability, common foods cooked, and manufacturer’s warranty information. The fuels consumer information section includes: quantity of fuel used per meal, primary consumer types, and typical foods cooked. 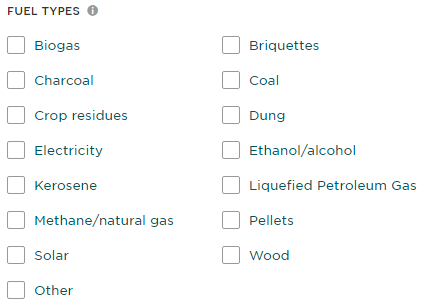 The fuels production and delivery products information section lists primary consumer type. Stove manufacturers can understand how their product compares to other products in the sector. Relevant filters may include stove characteristics, retail price, and geographic location. The primary material of the stove is also an available filter criterion. Fuels and fuels products manufacturers, similarly, can understand how they compare to the broader sector using the Fuels and the Fuels Production and Delivery Products sections. Fuel production and delivery products can be filtered by type using a dropdown menu. Test results on laboratory and field tests of stove and fuel performance are in the Test Results section. Test results can be filtered by protocol, environment, year, and reporting type. Protocols and metrics are defined the glossary. Test results can be submitted for inclusion in the Catalog. To submit a test result, use Alliance templates. 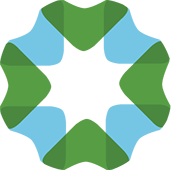 Templates, as well as full details on research protocols are available on the Alliance website.